5 Xbox One Myths Dispelled: Don't Brick Your Console! 5 Xbox One Myths Dispelled: Don’t Brick Your Console! 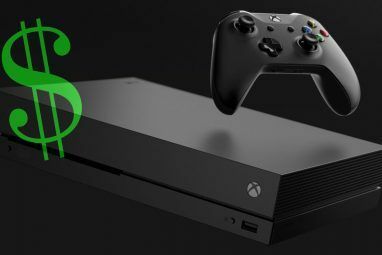 Given how much backtracking and mixed messages Microsoft themselves had given out about the Xbox One prior to its release last November, it’s no surprise the web is full of myths and disinformation. Not all of it is harmless though – some of the “helpful tips” you’ll find will actually end up irrecoverably bricking your console. Don’t be a victim, and don’t believe lies: read this first. Still on the fence about whether to buy one? 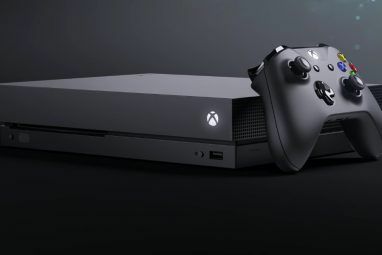 Check out our extensive review of the Xbox One Microsoft Xbox One Review And Giveaway Microsoft Xbox One Review And Giveaway The console wars are officially raging, and we've had sufficient time with both of them. That begs the question: how does the Xbox One compare? Read More ! This is an extrapolation from specific games that aren’t running at 1080p, but it’s not true to say this of the console as a rule. Ryse: Son Of Rome (Xbox exclusive) actually runs at 900p, upscaled to 1080p; while Call of Duty: Ghosts runs at 720p, compared to the PS4’s 1080p. Certainly, neither of those is a false statement. But the first games for any system are not the most optimised. It’s a new console, and the programmers have yet to take advantage of it to its fullest. Compare some of the first Xbox 360 games to the stunning GTA V, and you’ll see why. Don’t listen to the rumors: this game looks TERRIBLE. That said, the fact that Infinity Ward was able to lock down 60 FPS on the PS4 at 1080p natively may be indicative of the ultimate differences in gaming performance, which will only become even more apparent as the consoles life cycles continue. A nasty rumour was spread that the Xbox One was in fact capable of playing Xbox 360 games, and all that was needed was a simple hack to enable the feature. This isn’t of course entirely unfeasible in the realm of computing hardware: similar hacks exist that can turn a cheaper CPU into a more expensive one What Is Overclocking, And How It Can Help Your PC, Tablet, & Phone [MakeUseOf Explains] What Is Overclocking, And How It Can Help Your PC, Tablet, & Phone [MakeUseOf Explains] Provided that you have hardware from a manufacturer who understands those principles, you can do plenty to juice up your system, whether it be a computer, tablet, or smartphone. One of the best things you... Read More . Unfortunately, this particular hack – which involved pressing keys to enable a special developer mode – would send the Xbox One into an endless reboot loop that couldn’t be recovered. Why was this hack nonsense? The Xbox One is built on an entirely different architecture to the Xbox 360, not simply an upgraded version of the existing hardware. All existing games would need to be re-written completely. It would be like trying to run old Mac OSX software on Windows. To do this, you would need to emulate the system (potentially very slow), or rely upon a cloud streaming service such as Sony recently announced for old PlayStation 3 games PlayStation Now, App Store Sales, From McAfee To Intel, Cicada 3301 Returns [Tech News Digest] PlayStation Now, App Store Sales, From McAfee To Intel, Cicada 3301 Returns [Tech News Digest] Sony unveils PlayStation Now, Biz Stone launches Jelly, Apple App Store sales figures for 2013, new Gorilla Glass is antimicrobial, McAfee becomes Intel Security, China lifts ban on video games consoles, and the mysterious Cicada... Read More . 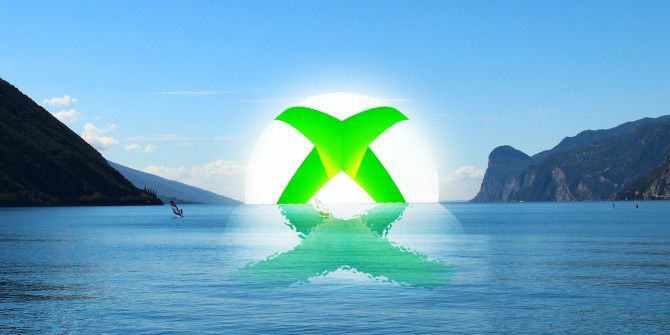 So sit tight: cloud streaming of old Xbox 360 games may be coming, but you certainly can’t play them on your Xbox One at the moment, and no local hack is going to let you. I’d love to dispel this myth, but actually I can’t. In light of recent NSA revelations and the fact that Microsoft wouldn’t legally be able to tell us the truth anyway, it is indeed entirely possible that the US government now has a camera and microphone in an awful lot of homes – I really wouldn’t put anything pass them at this point. TheVerge has a more elaborate write-up on the topic, so check that out. There’s no actual evidence that anything is currently being sent – but to be safe, just don’t do naughty things in front of your TV, mmmkay. Speaking of which, be careful about switching to another HDMI source while Xbox is still on in the background: I was recently watching a movie, and discovered that the Xbox had decided that at some point I asked it to call a friend on Skype. If it’s not essential that the Kinect be plugged in, surely that means they could release a version of the Xbox One which doesn’t include the Kinect? In theory, yes. They could. But they won’t. Just as they won’t release an Xbox which doesn’t run the Windows 8 core alongside the “gaming” part of the system. The last generation of Kinect was reasonably successful, but held back by the fact that developers won’t make games for niche hardware – the fact it was an “add-on” was a problem. This generation, the Kinect games can stand proud being sold alongside all the other blockbusters, and Microsoft isn’t going to let go of that. There’s a lot to be said for making homogenous devices: Microsoft is taking a leaf from the Apple books. One point of reference, one thing to support, one device to design for, one number to pitch to developers. 3 million Xbox Ones were sold in 2013, and every single one of them has a Kinect. I’ve had my fair share of issues with DRM Think Twice about Buying a PlayStation: How Getting Hacked Made My PSN Content Useless Think Twice about Buying a PlayStation: How Getting Hacked Made My PSN Content Useless My story begins sometime around the American launch of the PlayStation 4. I hadn’t turned my PlayStation on for about a week having been bowled over in work - I needed a break. I’d bought... Read More , but if Microsoft re-enabled their original plan, I’d say “good”. It was stupid to get rid of it, and they shouldn’t have responded to the inane internet trolls. Family game sharing would have been great, as would loaning games to friends – but a minority of whiny gamers had to ruin it for everyone. Thanks. This myth can at least be half-dispelled in the sense that it wouldn’t affect existing games. The security for Xbox One games right now is on the disc, not in any licensing DRM. This won’t change. However, it is conceivable that a second model could exist alongside it, just as you already have digital downloads and physical games – the former of which is DRMed, the latter which isn’t. Microsoft could re-enable DRM on disc sales (and all the features it brings), then give publishers the option to publish with either system. The Xbox One has a lot to make you love it (SmartGlass is pretty cool Smartglass with the Xbox One - Is it actually useful now? Smartglass with the Xbox One - Is it actually useful now? SmartGlass was Microsoft's attempt to integrate this phenomenon into the gaming and Xbox experience - interactive meta displays when watching movies or TV; mini-maps for games or extra controls. But mostly it was just crap.... Read More ), but an abundance of accurate information about it on the internet is not one. What rumors have you heard that still persist, or do you have any questions about the system you want answered? Ask away, and I’ll see what I can do! Start a Career in Cloud Computing With This Microsoft Azure Training, Now $19Fireball Pitches? Tornado Putts? 4 Sports Games With Super Powers! Well, got a few of those wrong didn't you. Your knowledge of programing architechture is amateurish at best (oh backwards compatability just announced), the Kinect is pretty much nowhere to be seen. And yours is the opinion that people listen to? Please. The head of Xbox changed, so it's no surprise they had a rethink of Kinect strategies. Games just weren't being developed for the new Kinect, which is a shame. As for being wrong about backwards compatibility: I'm not. They're running a virtual machine - emulation - to enable backward compatibility. Which is what I said would need to happen. This article was specifically written - in February 2014 - to protect people from running the dangerous "backwards compatibility hack" that at the time was bricking consoles. To be honest, I kind of regret buying an Xbox One over PS4. My only gripe with Playstation is how easily their network was hacked, and their customer support accused me of lying so I could share my games with friends. Never had an issue with Xbox online services. So why is the X Box One so popular when apparently the competition leaves it to eat dirt? Your sources may be somewhat biassed. It may be a myth now, but I don't buy that the One couldn't run an emulator to make the thing 360-compatible. It's got, what? 8x the processor and 16x the RAM of a 360, and the company that owns Virtual PC couldn't virtualize a 360 on it? I have no interest in buying all my games again. 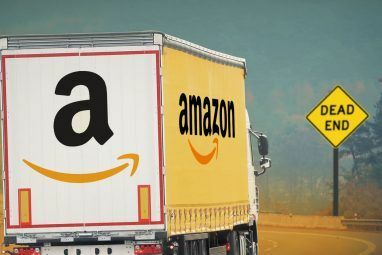 If I'm going to have to do that, I might as well go get the machine that is technically superior, doesn't require a paid subscription to run online services like Netflix, and costs less. There are more powerful PCs than an Xbox One out there which still can't emulate a playstation 2 that well, let alone an xbox 360. That's at least partially because the folks making the emulators don't have access to the original source code. Also, the PS2 is difficult to emulate due to it's special "emotion engine" co-processor, according to Sony. That was their justification from removing emulation from the PS3 slim, anyway. Another problem with emulating a 360/PS2/3 on a PC is because the game consoles are PowerPC based, not x86. That's not near as much an issue for the One. It's really just a bigger, faster, more powerful 360. Incorrect. The Xbox One is x86 based, like a PC - nothing at all like a 360. While the family sharing and always available content idea was great, the method of getting to this by making the physical game unsalable, unless it's unlocked again, is not going to sit well with a lot of gamers. I'm pretty sure there is a middle ground where the USER can choose to enable DRM on one of the games THEY have bought. This would put power back in the gamers' hands and give them the functions they desired if they were happy with locking their original disc. This article is written to dispel myths about the Xbox One, is it supposed to make me feel better or worse? After reading it, I feel more compelled to buy the console that WAS able to output at 1080p on release, the one that doesn't even have a the chance to spy on me, and will be backwards compatible, the ps4! It's not supposed to make you buy anything: it's supposed to dispel some myths. I'm not paid by Microsoft or Sony to make you buy either. 1 Myth Dispelled: Don’t Make Your Console an Xbox One! 2/10. It was good try, but grammatically that just doesn't make sense. Try: "1 Myth Dispelled: The Xbox One Is Actually Good"
That's really more of a statement, isn't it? I'm confused. Is it a myth that you can get something other than an Xbox One? Or is it a myth that you didn't? What is going on here?